Salman Khan has an array of projects in the pipeline. After wrapping up Bigg Boss 12, he is currently on the last schedule of Bharat. Besides Bharat, he is yet to begin shooting for Dabangg 3. Arbaaz Khan, who is also the producer of the film, has confirmed that the film will go on floor in April 2019. 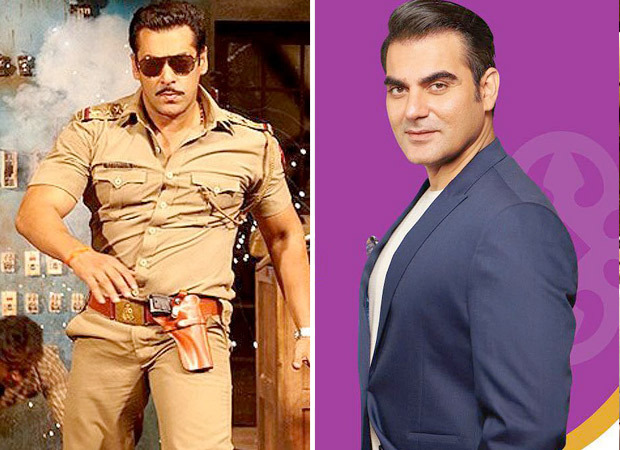 Arbaaz Khan said the third installment of the quirky cop franchise will begin in April. However, they are still contemplating on the locations but will be finalizing it soon. As of now, Salman Khan is returning as the quirky cop Chulbul Pandey and Prabhu Deva will direct the film. It is known that Prabhu Deva and Salman Khan have previously worked together in the action film, Wanted. Dabangg 3 will mark the return of Sonakshi Sinha as well. The previous films starred late actor Vinod Khanna, Dimple Kapadia and Mahesh Manjrekar.